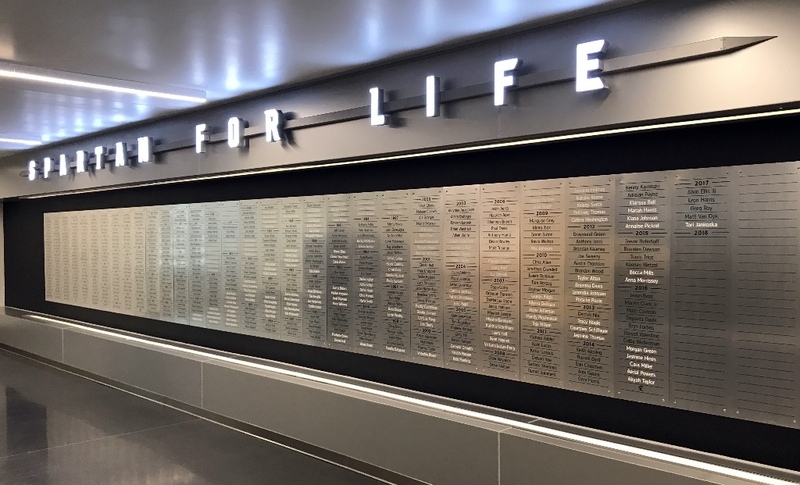 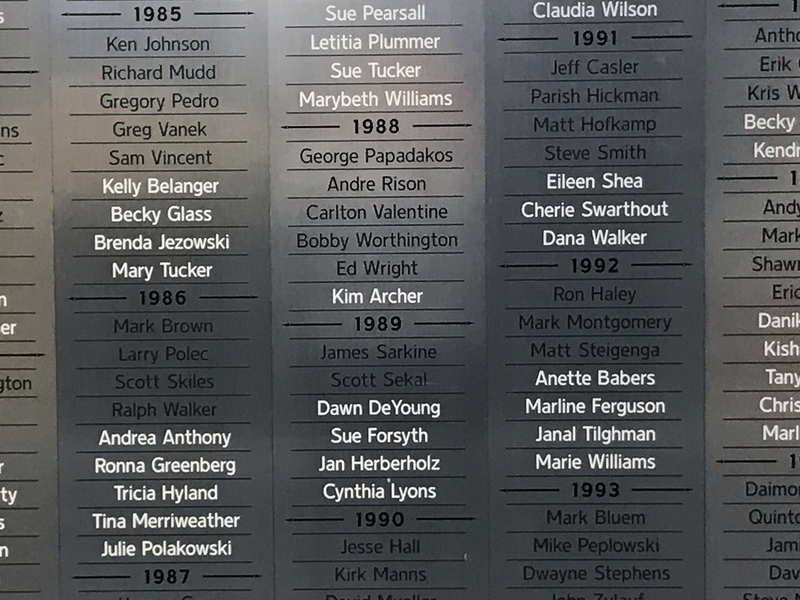 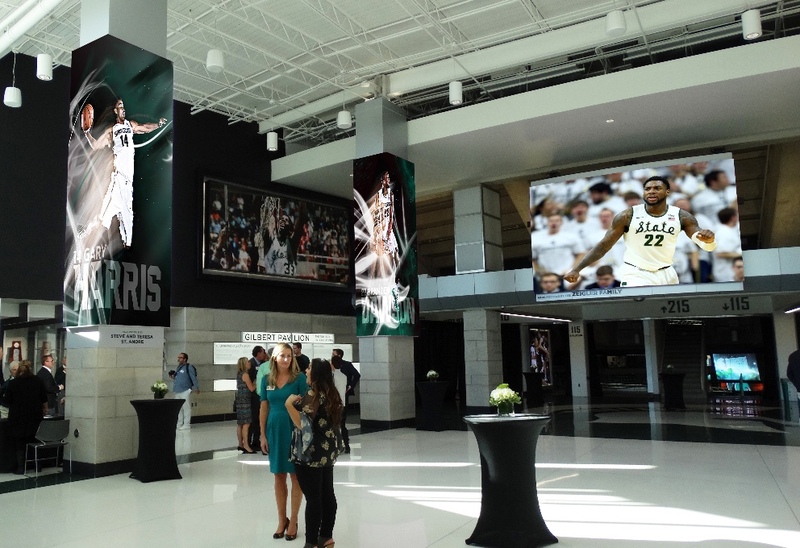 Anthony James Partners (AJP) was honored to be asked by Michigan State University to help create the next generation of Hall of Fame design. 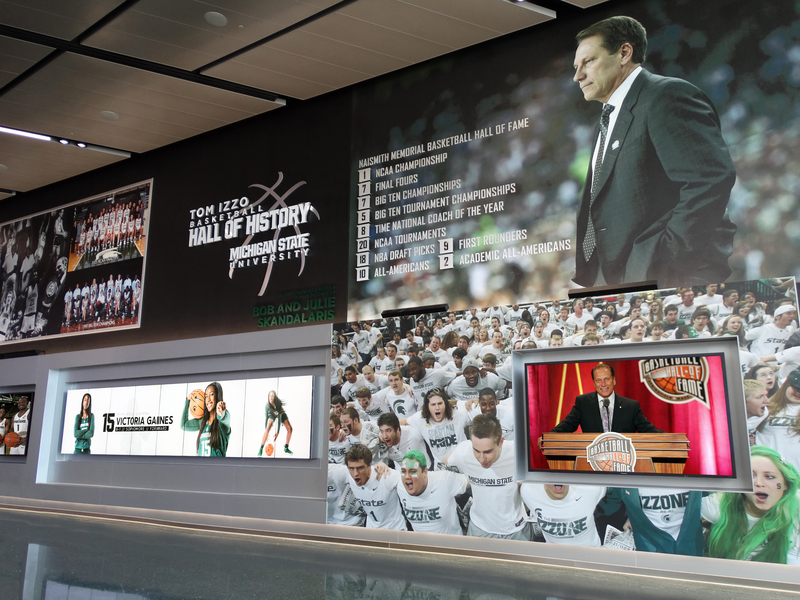 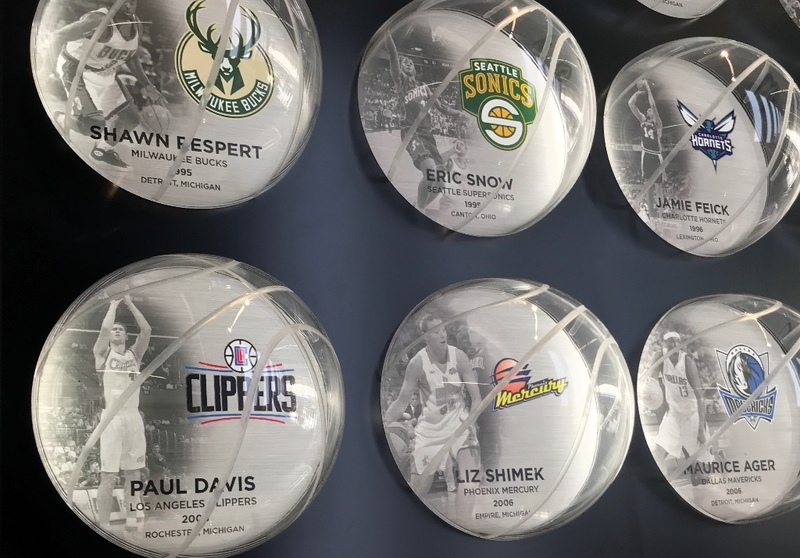 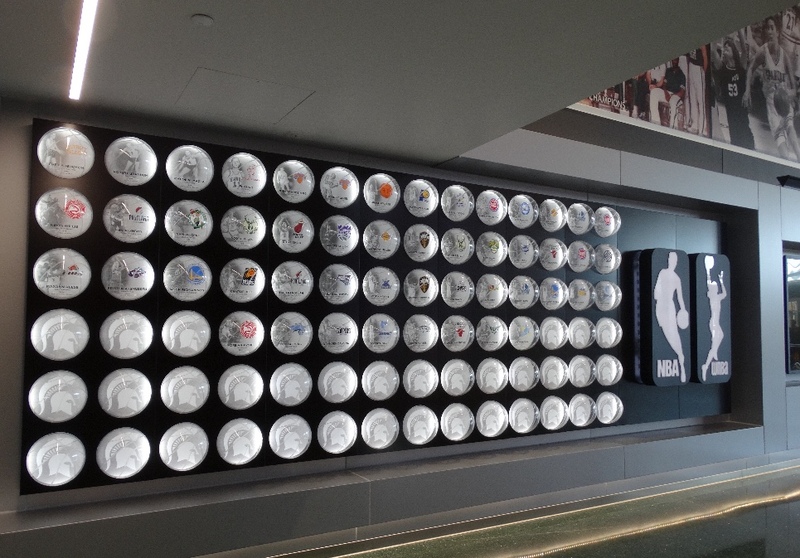 The market leader in AV design and consulting, AJP worked collaboratively with MSU, Rossetti Architects and Barton Mallow Company to develop and implement the Tom Izzo Basketball Hall of History. 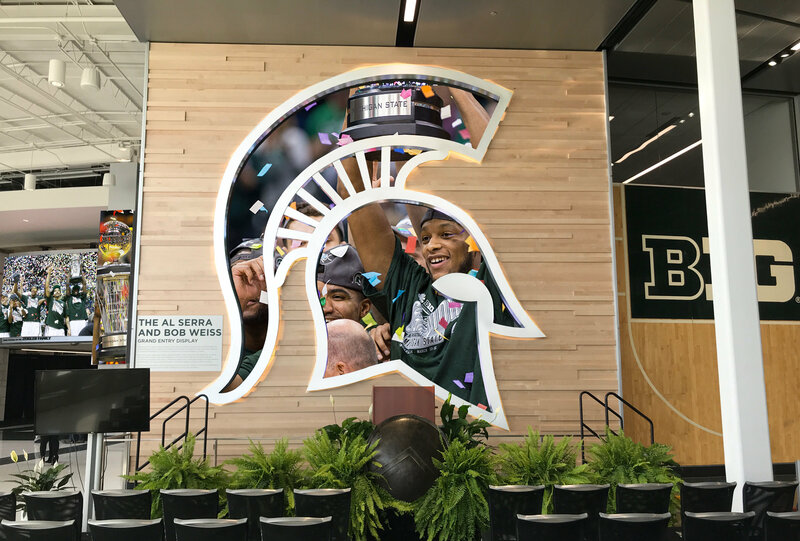 AJP worked closely with MSU to define the vision, determine a high-profile inventory of digital assets and to apply a comprehensive audio visual system design. 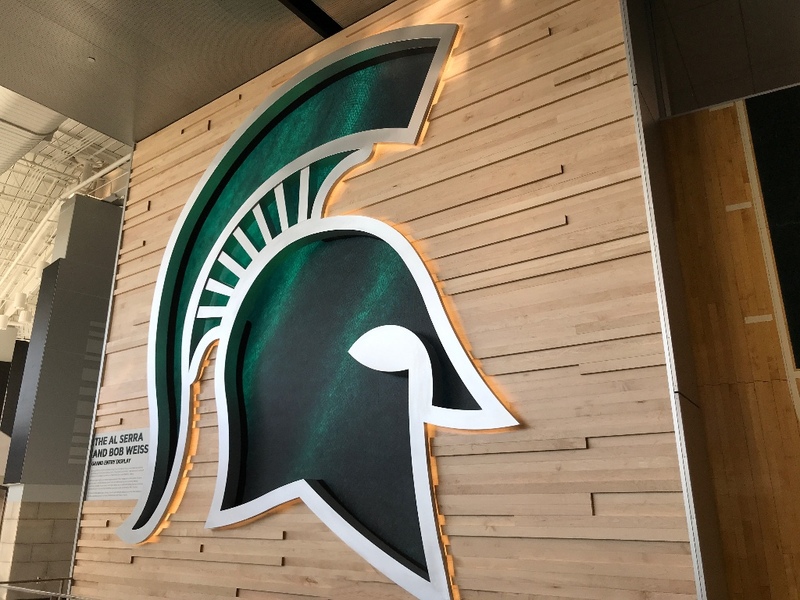 In addition to design and development, AJP provided procurement and construction oversight services for yet another exceptional technology project with the university. 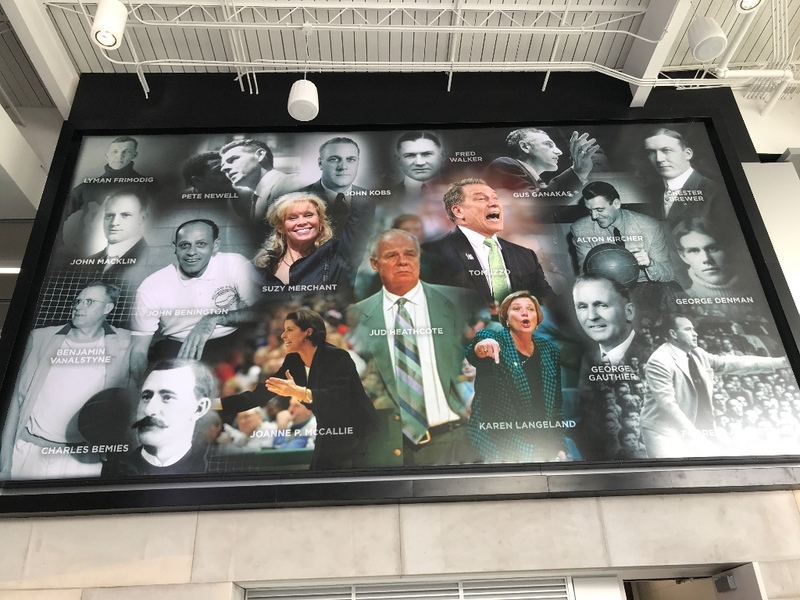 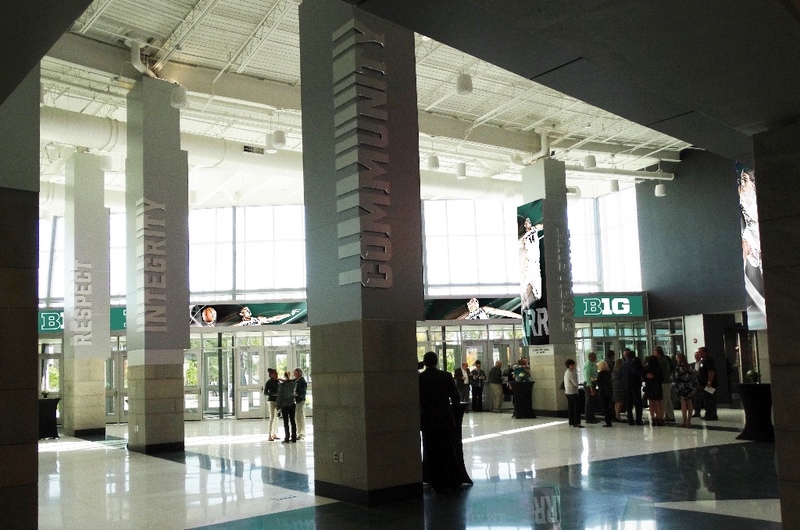 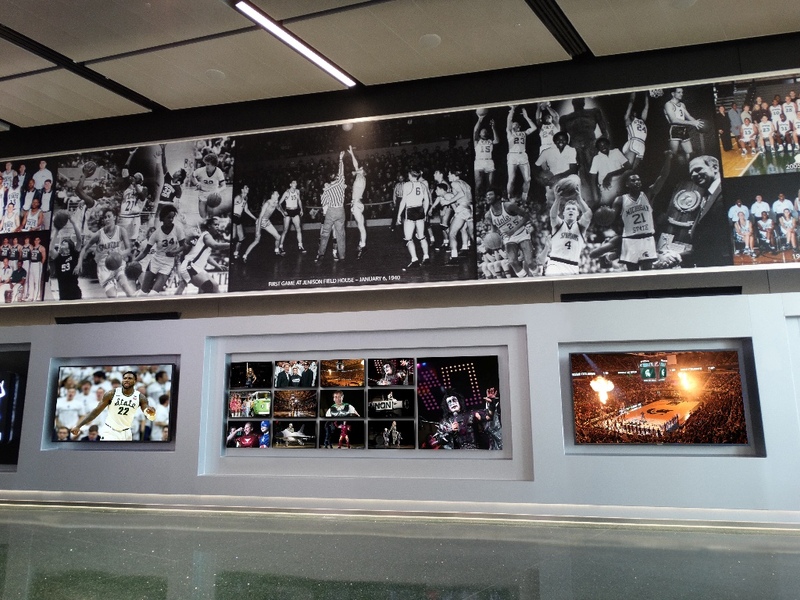 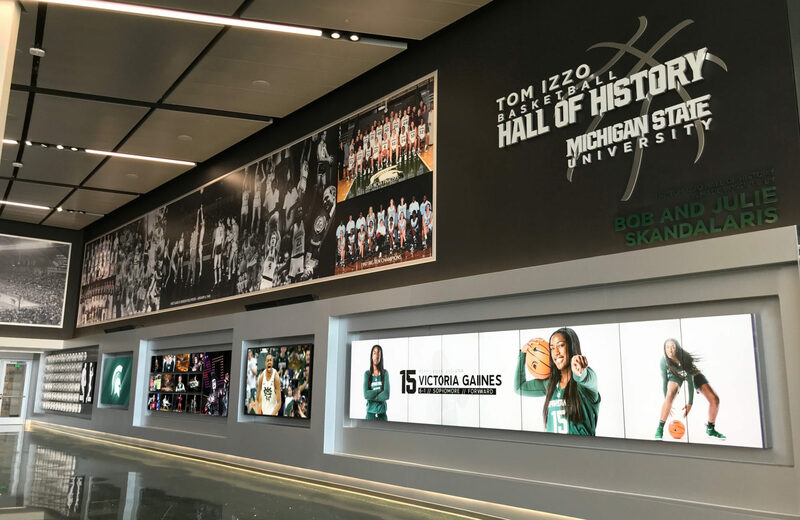 As part of a larger $20 million addition to the Breslin Student Events Center, the Tom Izzo Basketball Hall of History is a 26,000 SF space that blends customized, state-of-the-art programmable display technology with historical tributes designed celebrate Spartan accomplishments and to enhance recruitment efforts. 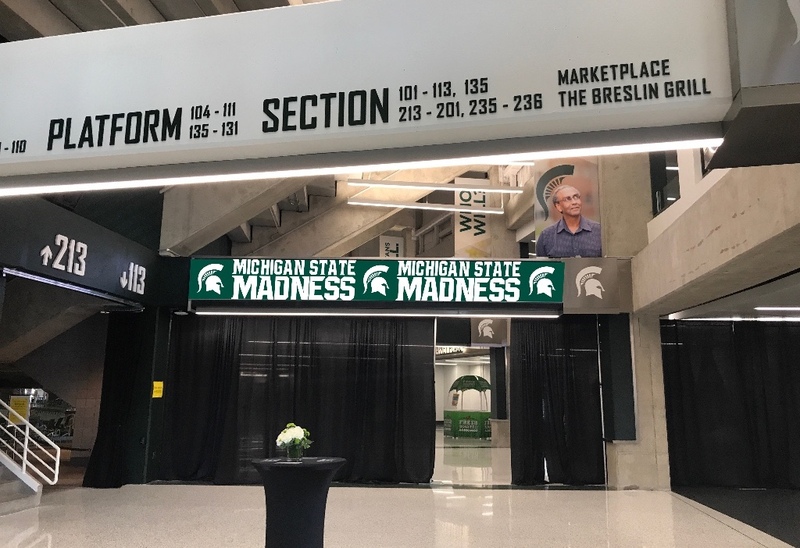 The space has the flexibility to also be programmed for the more than 200 yearly events hosted by the Breslin Center for the greater Lansing area, ranging from major concerts to commencement ceremonies. 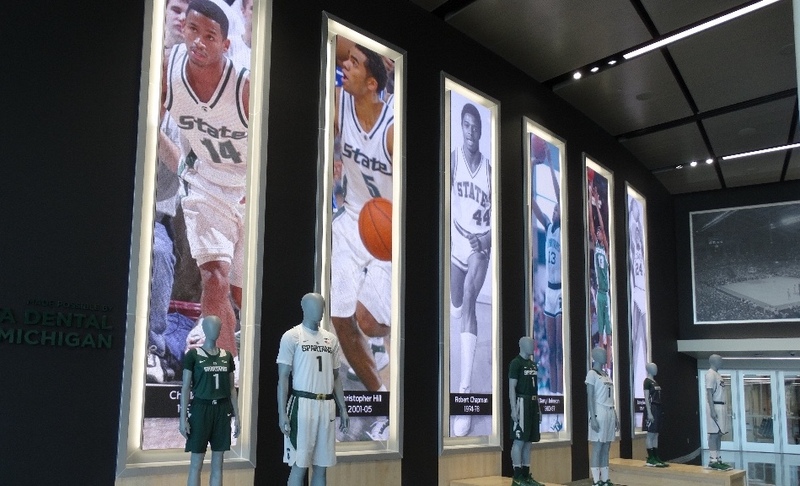 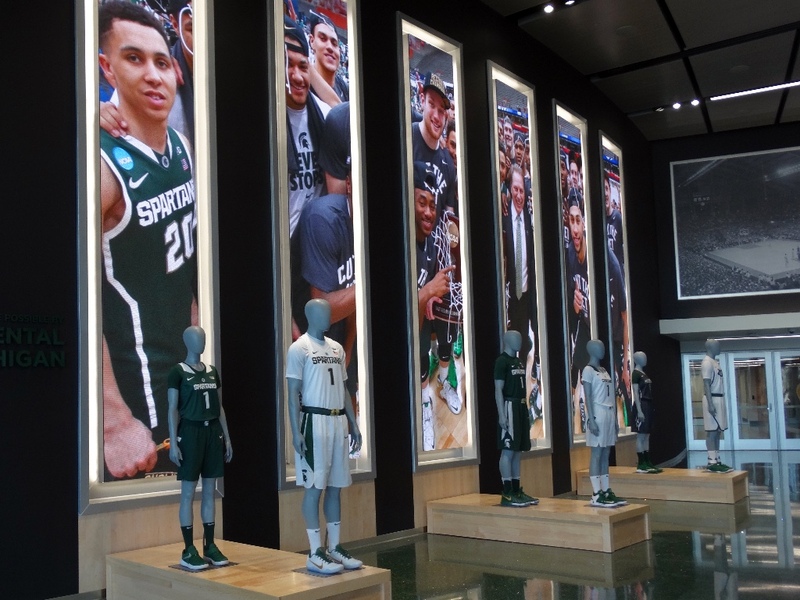 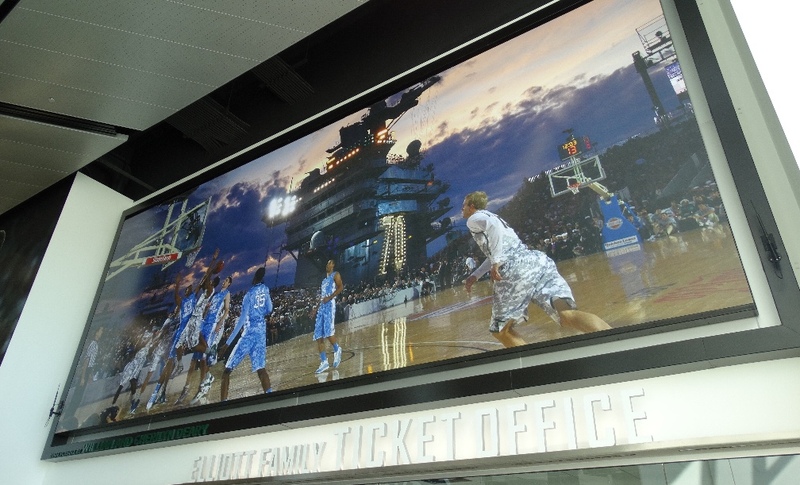 “Unbelievable,” said Tom Izzo of the space, noting that it is the technology that makes the Hall of History unique. 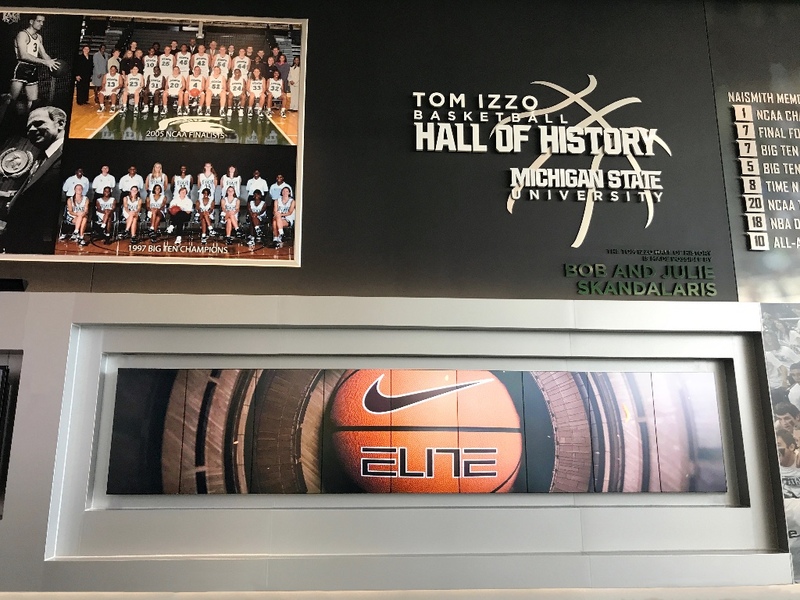 “It is special.” Head Coach for Michigan State’s Spartans men’s basketball team since 1995 and a Naismith Basketball Hall of Fame inductee, Izzo is the force behind one the most successful basketball programs in the history of college sports. 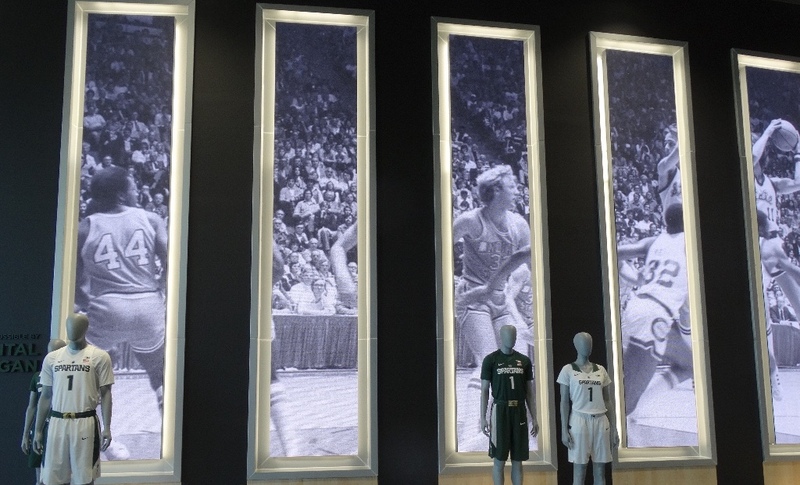 AJP’s design challenge was to come up with unique and technologically cutting-edge experience that honored not only the extraordinary coach, but a long history of MSU basketball players, coaches, fans and moments. 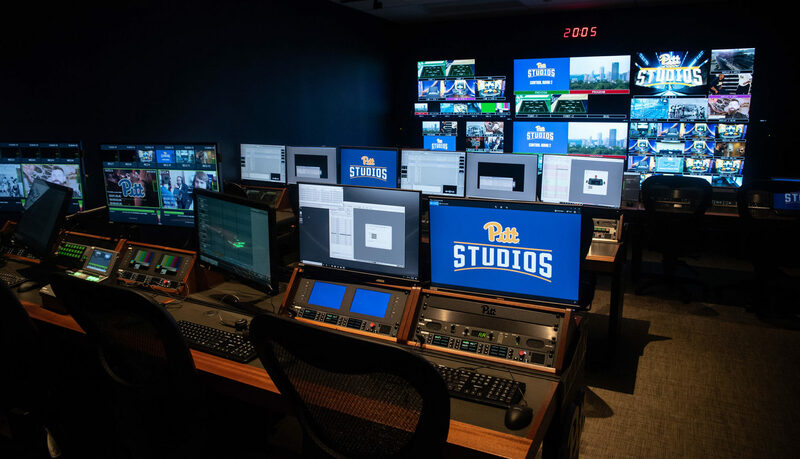 AJP AV specialists provided systems design and engineering for data, video and audio cabling and supporting infrastructure. 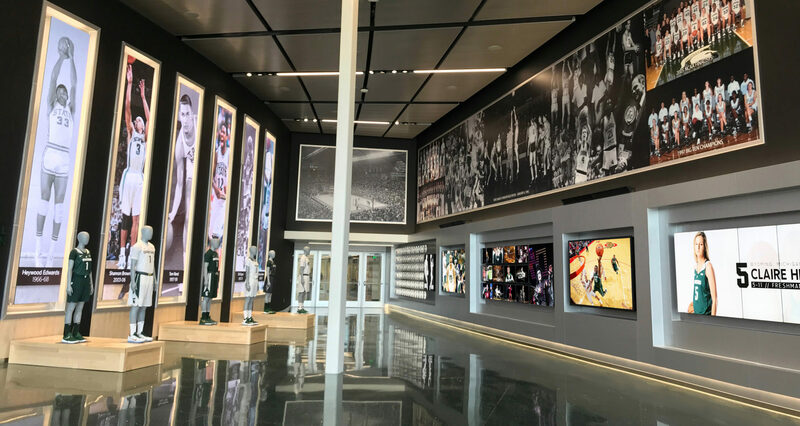 AJP’s scope also included systems design and engineering for distributed, outdoor, and experiential sound reinforcement systems, distributed TV, sound and control systems to unify LED, LFD, audio systems and lighting—all under a centralized content management solution. 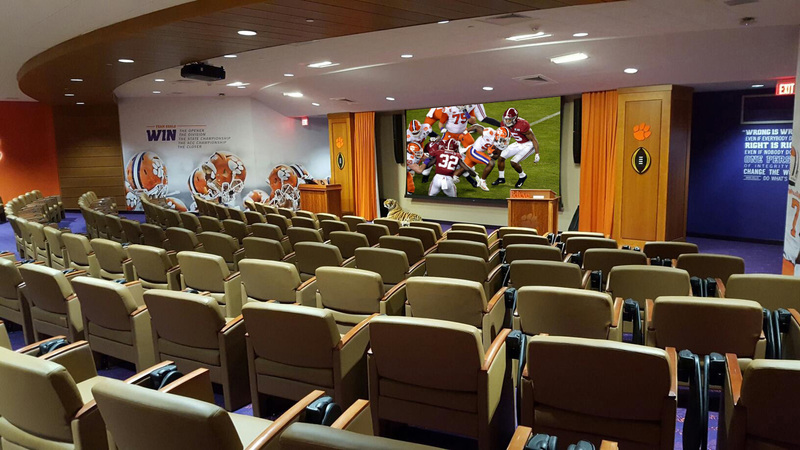 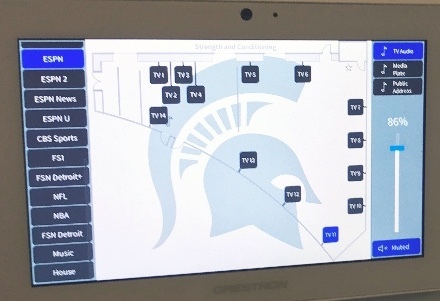 For distributed audio, television, and presentation, specialty areas such as the Draymond Green Strength and Conditioning Center, recruit lounge and alumni locker room are supported by the same centralized solution. 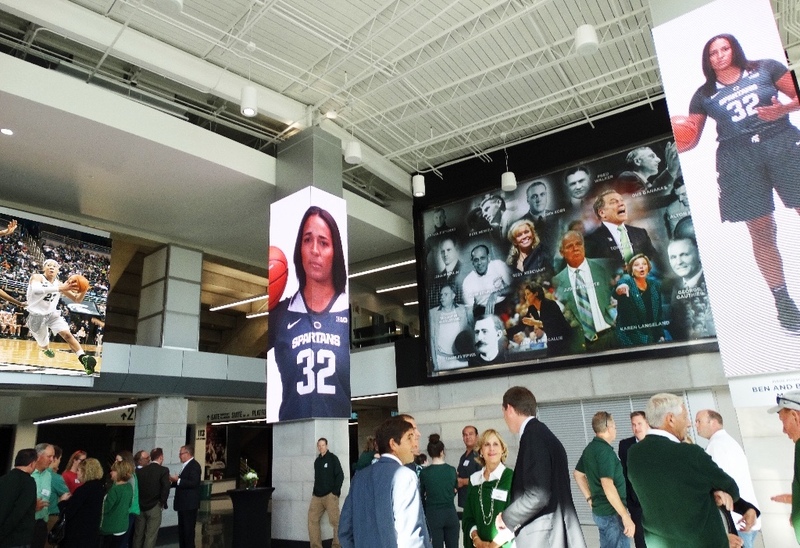 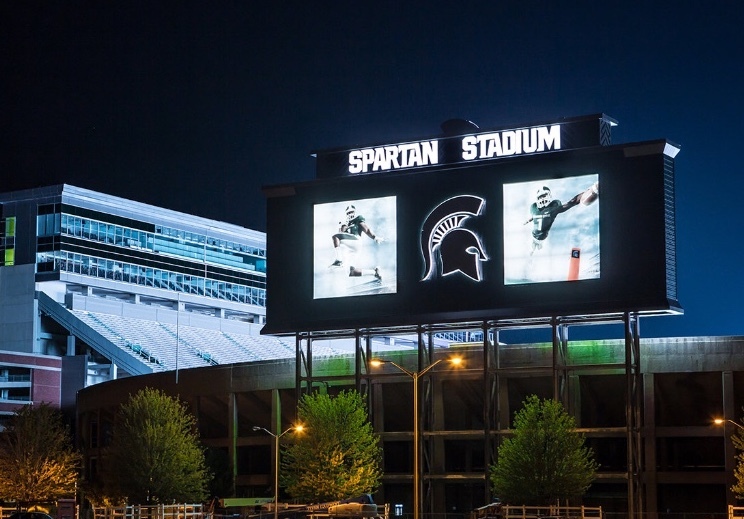 As Owner’s Representative and AV Consultant, AJP has supported Michigan State University on multiple technology projects, including the design, procurement and construction oversight of LED scoreboards and auxiliary displays for Spartan Stadium, Breslin Center, Munn Arena and the new football Hall of Champions. 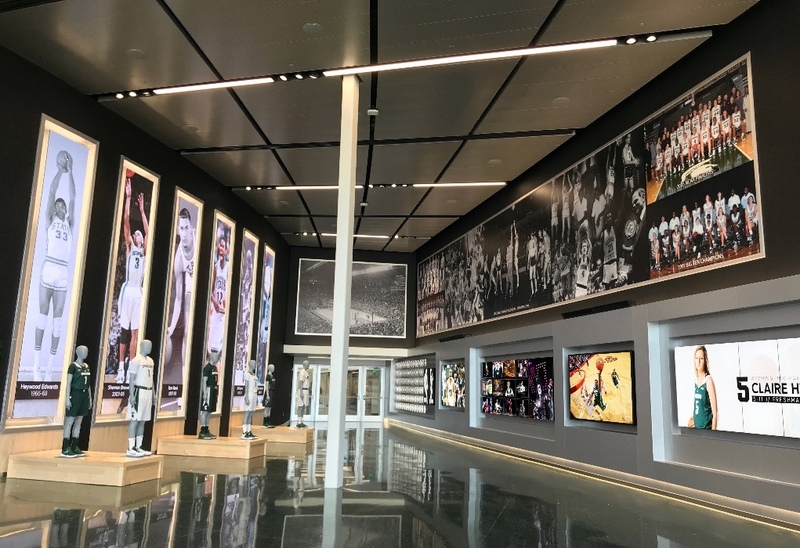 AJP is a highly accomplished Owner’s Representative and industry-leading Audio Video Consultant for professional sports franchises, collegiate athletics, architectural firms, commercial development companies and public agencies. 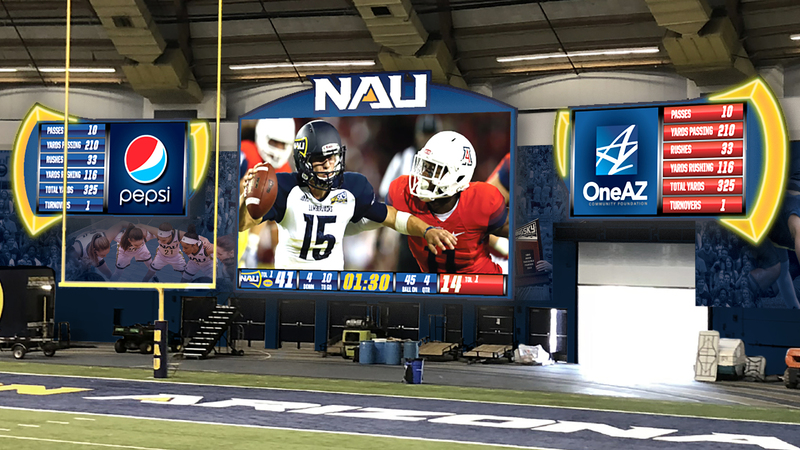 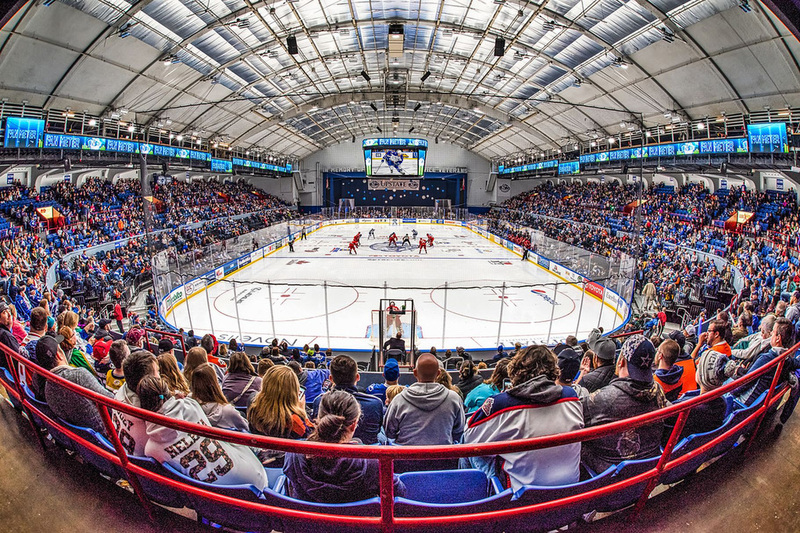 From the largest custom LED scoreboard displays, auxiliary displays and custom signage to state-of-the-art broadcast studios, control rooms, concourses and digital signage systems, AJP continues to set the industry bar for technology integration and large-scale project development. 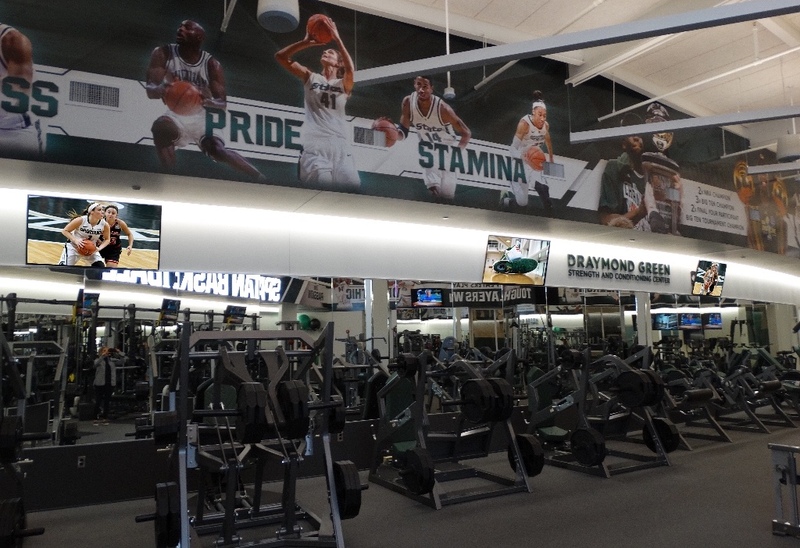 For more information on AJP services, visit anthonyjamespartners.com, email, or call 804.727.0070.